Most little girls want to be a princess. They want to be rescued by a handsome prince. They want the fairy tale. But that is all it is, a fairy tale. What they really want is a pretty dress, and a story with dragons, and heroic saviors. She can be everything she wants to be. She is already brave, and smart. She fights for what she believes in. 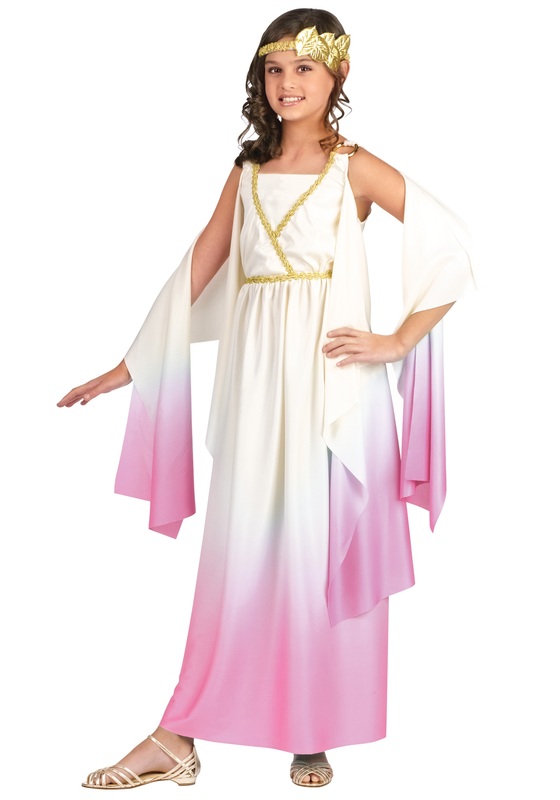 Now all she needs is this Child Athena Goddess Costume. It will make her feel like the goddess you already know she is. Yes, it will be a pretty dress, but she will also embody Athena, the Goddess of wisdom. The kind of goddess who doesn’t need a man to save her, because she is also the goddess of war. She might not have stories with dragons, but she will have stories where she defeats Titans. It is better to be wise, and fierce, than to just have a pretty dress.